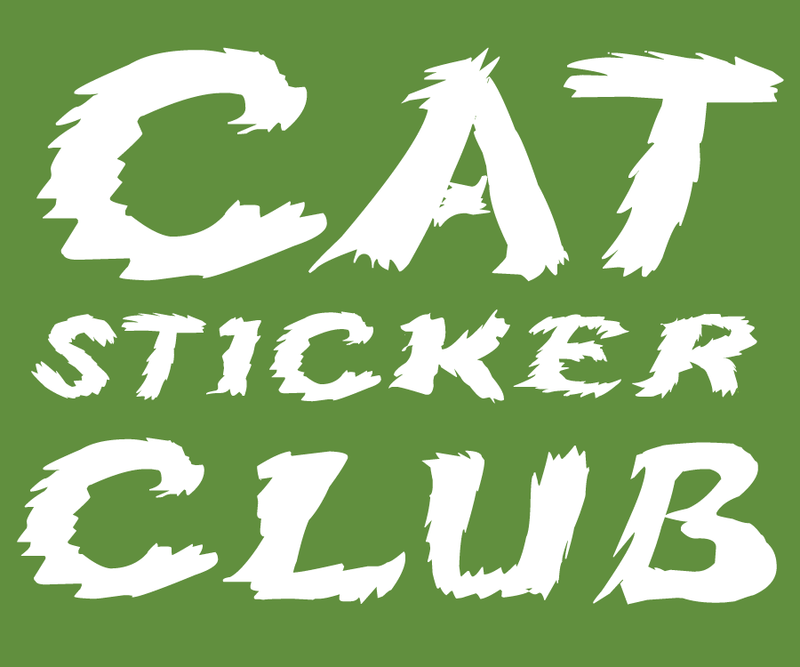 The month of September has been designated by the CATalyst Council as Happy Cat Month, an annual event created to spread awareness about the health, welfare, and value of companion cats. Often, cats are viewed as self-reliant, aloof, and less in need of medical care than dogs. The aim of this event is to counteract these stereotypes and ensure cats are well cared for, enriched, and receive the preventive care they require. A HAPPY cat is a HEALTHY cat. Are you doing everything you can to make sure your cat is happy? Purrsonally, I'm about as happy as a kitty can be. I have enough toys to open my own pet shop, warm beds and blankies in every room of the house, sunny doors and windows to lounge in, yummy treats and food that are (mostly) good for me, and an adoring Mommy who is willing to drop whatever she's doing any time I need her. How much for can a cat ask for??? I've mentioned before that just about the only thing missing in my life is a catio. A place of my very own to hang out and safely watch the world go by. Sadly, dreams of my little spot of heaven on earth are being hampered by Mommy who keeps telling me it's just not practical for us right now, but promises one day she'll work something out for me. For now I guess I'll have to be satisfied with that. 1) Catios keep cats safe. In our neighborhood we have SO many neighbors that allow their cats to roam free, and we live on a very busy street with a high school full of crazy teenage drivers. Mommy just can't understand how people can say they care about the welfare of their cat(s) yet not know at any given moment where their pet is. If she can't find me in the house for a few minutes she starts to panic, so I can't imagine how she'd deal with me running loose outside! The highest dose of blood pressure meds wouldn't be able to calm her down! Every cat enjoys the stimulation of being outdoors, but responsible pet owners know trouble lurks everywhere. Contrary to what some people think, cats are NOT equipped to take care of themselves in this cold, cruel world. Left to our own devices we're vulnerable to a multitude of dangers. 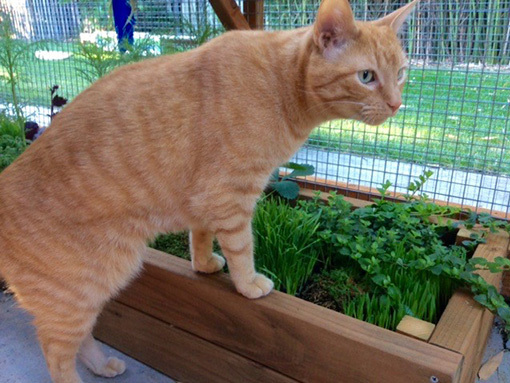 A catio helps cat guardians balance their pet’s natural curiosity and craving for outdoor stimulation with concerns for their safety. 2) Reduce vet visits. An important part of keeping your cat happy and healthy is taking them in for regular vet visits, but you certainly don't want to have to go more than once or twice a year for wellness checks! Cats that go outside without the benefit of an enclosure are much more likely to get into trouble thanks to vehicles, predators, parasites and poison, requiring more frequent vet visits. Protect yourself and your human's wallet with a catio! 3) Provide an enriching, healthy outdoor lifestyle. Catios provide kitties with fresh air, exercise, bird watching and sunbathing...all things that make us super duper happy! 4) Extra feline/human bonding time. It's no secret that Mommy's favorite pastime is curling up on the couch with the computer or a book and moi. We could be doing the same things on a catio and the fresh air and sunlight would make both of us healthier too! I can just picture us now, stretched out on a chaise lounge, a bunch of Mommy's cat-related knick knacks on the table and hanging on the walls, birds chirping, squirrels scurrying around...pure bliss for the both of us while we spend quality time together. On Mommy's "work from home days" she could even do her whole day's work on the catio in a much more pleasant and stress-free environment! 5) Reduce the tension in a multi-cat household by adding more territory. 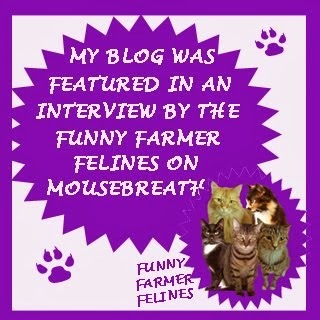 Talk to me friends, do you have a fur sibling that gets on your last nerve every now and then? I'm an only child but I'm not always so sure this purrfect living arrangement is going to last forever. Mommy loves kitties too much and visits the PetSmart adoption center every time she goes to the store. I just know one of these days she's going to bring something home with her. In a home with a catio, any annoyances by your bratty brother or sister can be diffused by stepping outside for some fresh air and a solitary catnap! How am I doing at convincing you that you need a catio? 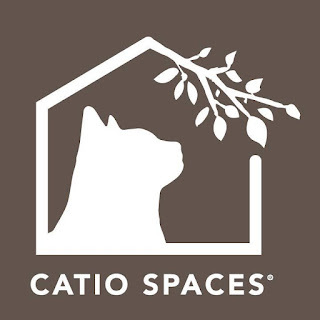 Whenever you're ready to take the plunge, our friends at Catio Spaces offer Do It Yourself (DIY) catio plans in a variety of designs and sizes for patios, decks, gardens or yards. Build it yourself or hire a carpenter to do it for you! 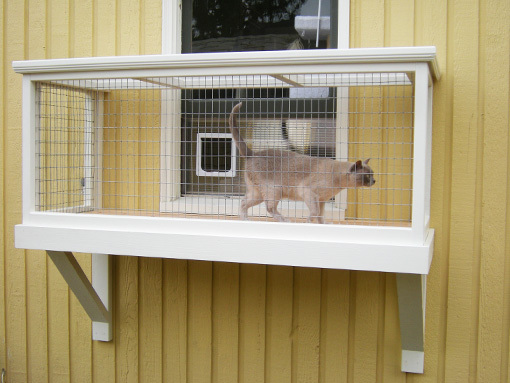 Each do-it-yourself catio plan includes step-by-step instructions, a material list, tool list, and easy to follow diagrams for a successful project. (Materials not included). Each set of DIY plans is designed for ease of assembly (or removal if relocating) and to complement a home’s design and aesthetics. 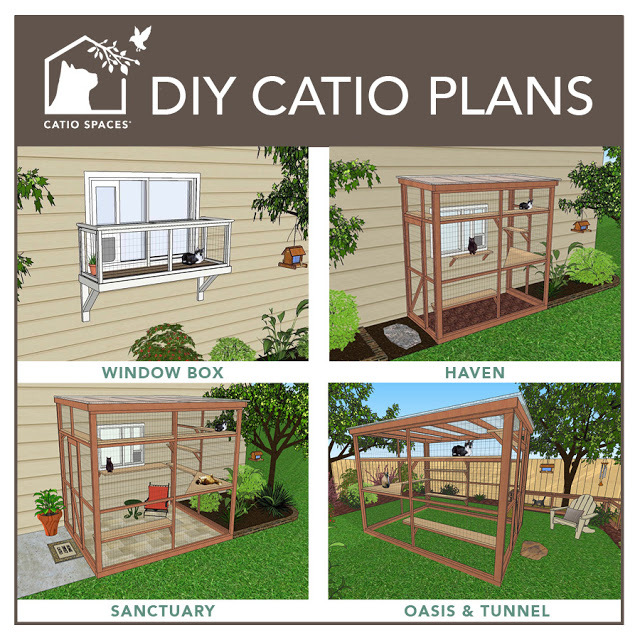 Prices for the DIY catio plans range from $39.95 to $69.95, and Catio Spaces donates 10 percent from the sale of each DIY plan to an animal welfare or wildlife organization! Catio Spaces is generously offering one of our lucky readers in the US their very own catio plan! 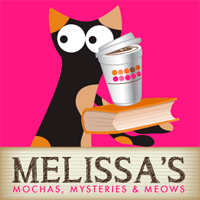 To enter, simply fill out the Rafflecopter below. Good luck everyone! I think the kitties and I share the dream of having a catio extended out on our back patio. How purrfect that would be! I wish we had a catio! The enclosed patio is more for the humans than us cats, and before that, it was the dog's domain. But if we had one, it would have to be big enough for my human and her laptop, because she would want to be out there with us! I agree that allowing cats outside can be dangerous. 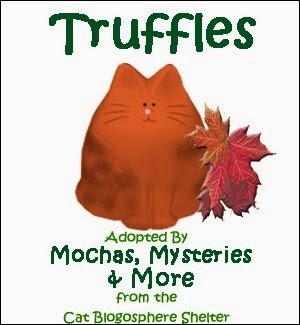 Encouraging folks to set up catio's for their indoor furbabies is wonderful! You are very convincing, Mudpie! 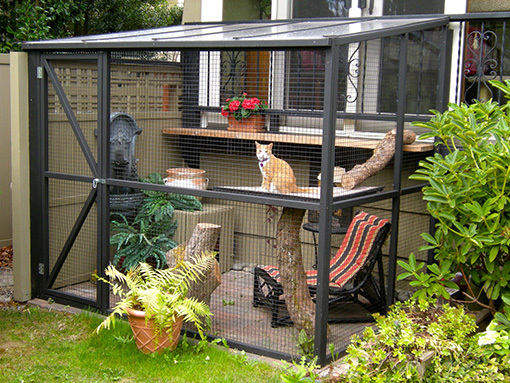 I'm loving the Haven Catio, it would be perfect for my space. I have 4 cats and 3 of them don't go outside ever. 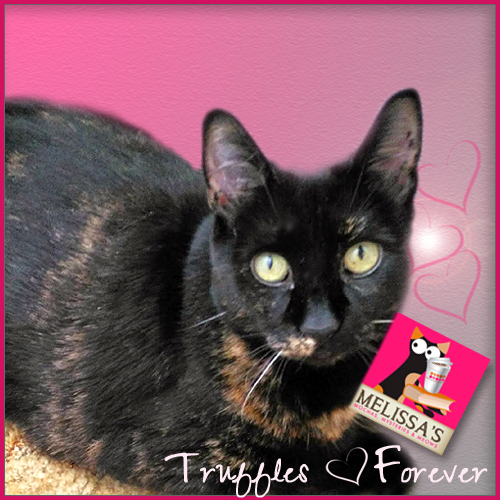 The Catio would be perfect for my special needs baby, both of her back legs are deformed so she can never be outside. My 13 year old baby girl would really enjoy the catio too, who wouldn't love it! 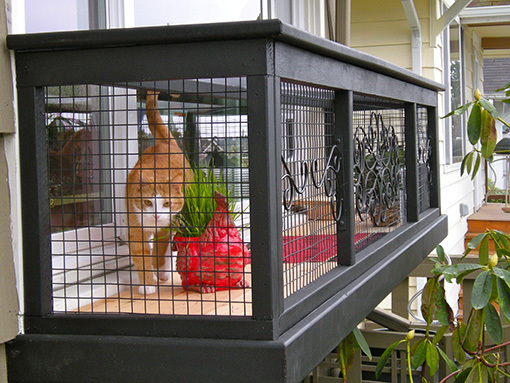 The Sanctuary Catio would be wonderful for my cats. This would provide them with an outdoor place which they would enjoy that is safe. Wow!! Toby and all the kitties would LOVE a Catio!! One of these days maybe I'll get them one! I would like the window box as i live on the second floor. I would choose the window box plan. One of my cats used to be an outdoor/indoor cat and I think the catio would be a purrfect way to let her enjoy fresh air! What cute catios...for those who "can't" (don't care enough to) address the real problem of high-traffic, overcongested places. Despite the burden of treating cats for (and losing kittens to) accidental poisoning when some fool thinks the way to control weeds is just to dump poison on the land...I believe cats are in this world to control mice, and humans who don't appreciate that service and help cats provide it become vulnerable to plagues--including "The" Plague (septicemia). I wouldn't consider living in a place where I didn't see free-range cats, and also free-range children, along well-bumped roads that make it physically painful for motorists to drive at speeds that are *also* extremely dangerous to adult humans (and even to their homes). Where I do live...when a cousin saw an ordinary sedan, not a truck or jeep, on our road he brought out a tractor to make the road bumpier. That's what cat fanciers need to be pushing (for humans' sake, as well as cats' and other animals)...no matter how adorable a cat-sized balcony can be, or how much a cat will enjoy looking down on the world from a safe Catio. That is every kitties dream. While I'd love one of the bigger styles, given the layout of our house, deck, yard, etc. I think the Window Box Style would work best for us. 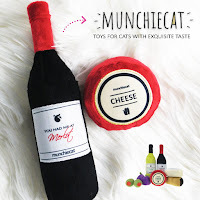 I know my cats would love it! Catios are so cool! We're not entering because we don't have a place to put it. That is so disappointing! MP, your human has a house she prolly owns. She can have a catio made for you. I'll bet your gramps would make one for you. How about a Kritter Kondo? I like the sanctuary catio best! I want to give my cat's the world. I also understand that the world is dangerous. A catio is the best of both worlds. A chance to be outside safely. I love this idea! My two cats would be so happy with a catio of their very own. We never let our cats outside because we don't want anything to happen to them. This would allow them to feel like they are out in the yard without the danger. I think my cats would love the sanctuary catio. There is enough room for them to enjoy and it is attached to the house.